Bruce Solheim is a distinguished professor of history at Citrus College in Glendora, California. He served six years in the U.S. Army as a jail guard and as a helicopter pilot. 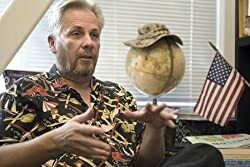 He founded the Veterans Program at Citrus College, and teaches Vietnam War-related history classes. 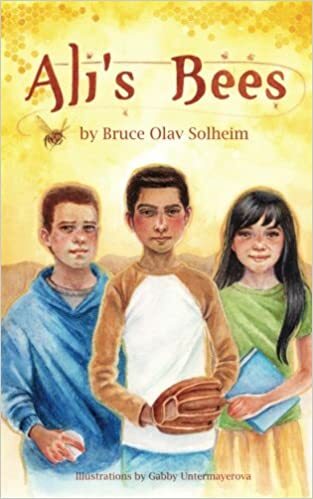 The three kids in Solheim’s children’s book, Ali’s Bees (CreateSpace, 142 pp., $9.89, paper; $2.99, Kindle)—Ali, Lupe and Jenks— learn how to cooperate on a science project. Ali wishes he could feel at home in Los Angeles with his beekeeper grandfather with whom he went to live after his parents were killed in a terrorist attack in Iraq. Ali has PTSD related to that terrorist attack he survived, but his family did not, except for his grandfather. His grandfather has Ali work with bees as therapy for his PTSD. Ali works with Lupe, a classroom friend, and with Jenks, a bully. Jenks has problems of his own as his father is confined to a wheelchair because of wartime injuries. The horrors of war live on every page of this book. Some of the five illustrations by Gabby Untermayerova of Jenks’ father in his wheelchair brought tears to my eyes. Full disclosure: Often these days I am in a wheelchair, too. This book can entertain and benefit all ages of readers. It can also teach how to try to overcome the ill-effects of war, effects that are with us always and everywhere. The book is positive and healing, but it is also realistic. It never becomes maudlin or descends into didacticism. It is beautifully written and on some pages borders on poetry. I loved the book and would use it in class if I were still teaching about the horrors of war. Thanks to Bruce Solheim and Gabby Untermayerova for conspiring to produce this fine book dealing with the impact of war on the human heart.